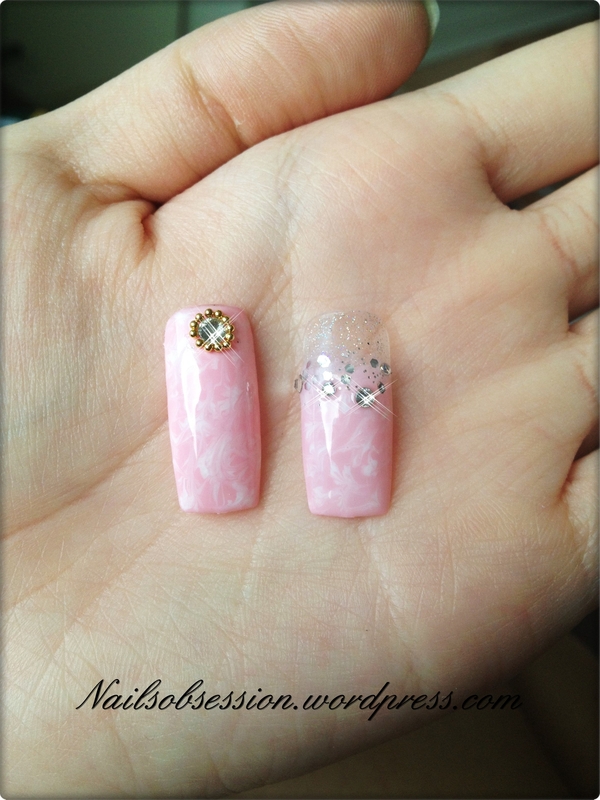 ❽❺: Nails for Joanne Pang + 10% Discount! And so we had our first collaboration with Joanne! It was an enjoyable session meeting this bubbly girl, we had so much fun doing her nails. Coincidentally she was my IJ senior a few years back, Singapore is so small that you will always meet people (like friend’s friend or friend’s cousin or what) someway or another. 😀 She wanted something bling bling but didn’t want glitter gradient, so I decided to create gradient marbling for her, with 2 full marbling on her ring fingernail. The original colour I tried out was a soft pink hue below but she wants something different for her birthday nails, so I suggest this colour Tease from ACG. Shouting out to gelish and nail art lovers! Want to earn a 10% discount on your next gelish visit? Read Joanne Pang’s blog to find out more! Hehehehehe. Promo ends on 31st Jul, book your appointment nowww @ 97126428!